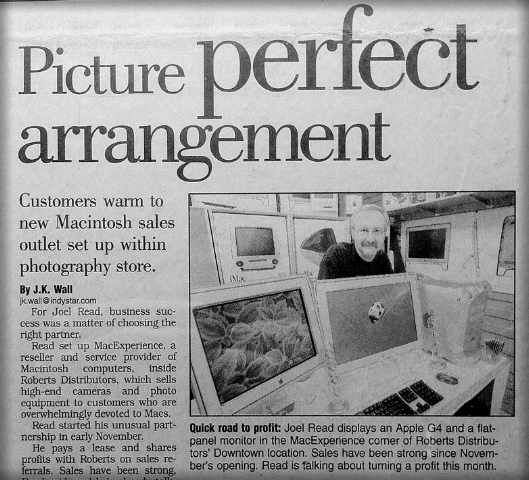 MacExperience has been serving Apple customers in central Indiana since 2001. MacExperience has been locally owned and operated since 2001. Owner Joel Read and his core team who started with the business are still working together today. 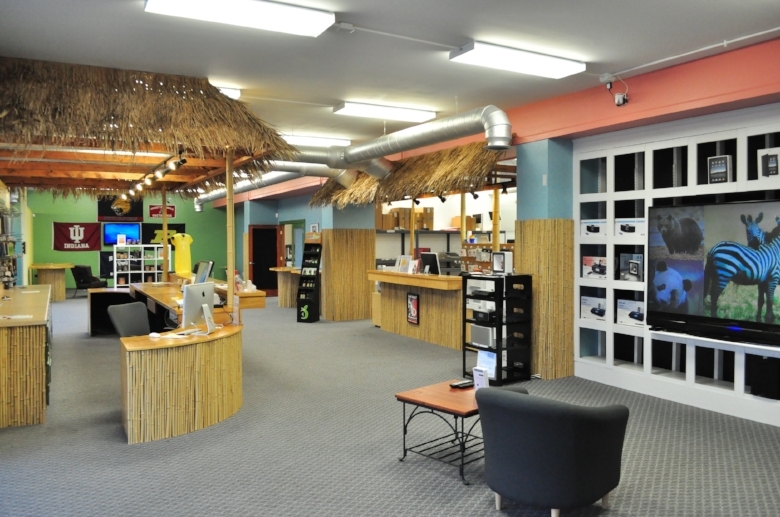 We started with a little retail space inside Roberts Camera in downtown Indianapolis and have grown over the years to our current two locations: the Northeast side of Indianapolis and Bloomington, with a professional services division in addition to our retail locations. MacExperience is a provider of IT solutions for businesses and customers alike. We offer complete end-to-end solutions, whether you are in need of a new Mac or an entire network designed from scratch. We are able to provide pre-sales consulting ranging from telephone advice to full site surveys and detailed proposals. MacExperience certified technicians are the best in the industry and know your Mac inside and out. All repairs, upgrades, and diagnostics are performed in a clean, organized, and professional atmosphere. We are recognized by Apple as a Authorized Service Provider. This means we deliver outstanding customer service on both in warranty and out of warranty product. Our logo isn't the only thing that's green! All computer waste generated by MacExperience is recycled. We also offer a free computer recycling service. MacExperience strives to create an inclusive atmosphere. Our business will not turn you away based on your sexual orientation, gender, race, disability or political/religious affiliation.